11 Apr 2019 --- Swiss-based chocolate and cocoa products manufacturer Barry Callebaut has reported an acceleration in sales volume growth of 3.1 percent in the second quarter, leading to a 2.4 percent increase in sales volume to 1,05 tons in the first six months of fiscal year 2018/19. Sales volume in the chocolate business grew by 3.5 percent, which was partly offset by an anticipated decline of 1.7 percent in Global Cocoa. “We have good visibility in our portfolio and expect a further acceleration in sales momentum. This makes us confident we can deliver on our current mid-term guidance,” Barry Callebaut CEO Antoine de Saint-Affrique says. Barry Callebaut’s results come as chocolate makers are grappling with sluggish global demand as consumers are opting for healthier snacks, but the company is benefiting from food groups, such as Nestlé, outsourcing chocolate production to it, according to Reuters. The increase in the chocolate business was on top of a robust prior-year base and well above the underlying global chocolate confectionery market, which was growing by 1.5 percent. Sales volume growth accelerated in Region Asia Pacific by 5.7 percent, as well as in Region EMEA (Europe, Middle East and Africa) (2 percent), where sales volume picked up strongly in the second quarter. The company’s forecast for the three years from 2019/20 to 2021/22 is to generate on average 4-6 percent volume growth and EBIT above volume growth in local currencies, barring any major unforeseen events. “Going forward, we remain committed to achieving consistent above-market volume growth and enhanced profitability, which is why we renewed our mid-term guidance for the coming three fiscal years,” de Saint-Affrique notes. Against a strong prior year, Barry Callebaut’s sales volume in Region EMEA was up 2 percent to 480,721 tons, with an acceleration in the second quarter (+4.4 percent). This was well above the European chocolate confectionery market growth of 0.7 percent. In Western Europe, food manufacturers’ volume growth picked up and new outsourcing volumes from Burton’s Biscuit Company in the UK came on stream. With its current production footprint in the UK and robust business continuity plans the group can satisfy growing customer demand under all possible Brexit scenarios. Gourmet maintained its healthy growth in the first six months of this fiscal year. Overall sales revenue was up 1.3 percent in local currencies (-2.3 percent in CHF) and amounted to CHF 1,542 million (US$1,540 million). Operating profit (EBIT) was up 6.1 percent in local currencies (+1.9 percent in CHF) to CHF 178.3 million (US$178.09 million), reflecting the improved product mix and the refocus on more profitable activities. 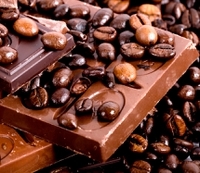 Sales volume in Region Americas grew steadily by 5.8 percent to 281,204 tons, supported by both Food Manufacturers and Gourmet, while the regional chocolate confectionery market increased by 1 percent. In South America, Gourmet continued its double-digit growth, with particularly strong momentum in Brazil. Sales revenue increased by 9.6 percent in local currencies (+10.1 percent in CHF) and amounted to CHF 908.5 million (US$907.5 million). Operating profit (EBIT) grew by 8.5 percent in local currencies (+7 percent in CHF) as the result of an improved product mix and amounted to CHF 90.4 million (US$90.3 million). Barry Callebaut’s sales volume in Asia Pacific accelerated in the second quarter (+7.4 percent), resulting in total volume growth for the first six months of the fiscal year of 5.7 percent to 57,192 tons, against a “very high prior-year comparator.” The regional chocolate confectionery market grew by 8.6 percent. Double-digit growth continued for Gourmet in China, India and Japan. Sales revenue increased by 7.2 percent in local currencies (+7.7 percent in CHF) to CHF 204.1 million (US$203.8 million). Operating profit (EBIT) outpaced volume growth and increased by 10.8 percent in local currencies (+11.2 percent in CHF) to CHF 26.9 million (US$26.8 million), due to a better product and customer mix. In line with expectations, the sales volume of Global Cocoa decreased by 1.7 percent to 227,578 tons. Sales revenue increased by 10.5 percent in local currencies (+6.4 percent in CHF) to CHF 1,018 million (US$1,016 million) supported by disciplined execution and increased cocoa prices. The operating profit (EBIT) improved from CHF 45.7 million (US$45.6 million) in the prior year period to CHF 54.6 million, driven by a supportive market environment. Ruby chocolate celebrated its first anniversary on March 19, 2019, in Tokyo, Japan, where ruby was first introduced to the consumer by Nestlé KitKat Japan. Since then, the fourth type of chocolate has been introduced by artisans and more than 20 brands and is currently available in over 40 markets in South Asia, Europe, South America, Australia, New Zealand and South Africa. In early 2019, Unilever launched Magnum Vegan in the US and Australia, crafted with dairy-free chocolate from Barry Callebaut.